Features: 5R Barrel with Muzzlebrake. Rail. Laminated Stock. New – Top off the line Long Range Target Version! Ruger’s new Hawkeye Long Range Target Rifle has a non-rotating, Mauser-type controlled round feed extractor which features a fixed blade-type ejector that positively ejects the empty cases as the bolt is moved fully rearward. The cold hammer-forged barrel results in ultra-precise rifling which provides exceptional accuracy, longevity and easy cleaning. It also has a three-position safety. 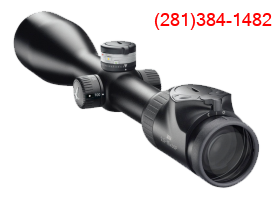 The Hawkeye Long Range Target model features a 4140 chrome-moly steel 300 Winchester Magnum 24 inch barrel with 5R Rifling, heavy-contour, and a Ruger Precision Rifle Hybrid Muzzle Brake. The two-tone Target stock features two-way adjustable comb, adjustable pull length with soft rubber buttpad, and QD attach points. Its 20 MOA Picatinny rail is secured with four, #8-40 screws for increased long-range elevation capabilities, while integral scope mounts are machined directly on the solid-steel receiver. The Hawkeye Long Range Target also has a two-stage target trigger, rugged one-piece, stainless steel bolt, and ships with one AI-Style five-round magazine.